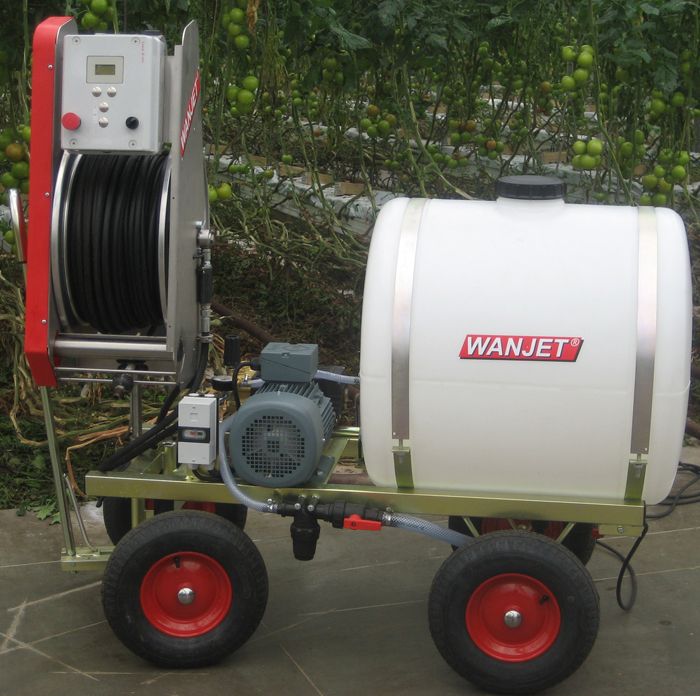 The electric hose reel (R4) with speed control has been developed especially for horticulture. The hose reel can be turned on and off from a distance by means of the spray pistol or ball valve. There are no special demands for the spray pistol or ball valve. Moreover the hose reel can be easily put on a spray car that is already present. The winding speed of the hose reel is adjustable and changes automatically. Thus the person working with the hose reel always works at the same speed. We work differently, as we do with many of our products. The electric hose reel is another example of this. Be surprised by our price, which is also different.